Numerous technologies are developed for the production, improvement, protection and utilization of tuber crops. For making these technologies available at a common place and thereby reducing the delay in searching out the required technologies, a database system namely TUBERTECH was designed and developed. A database, which stores the information about the technologies, is the backbone of the system. This database is having ten fields including the primary key, which is the record number. Seven of the fields are meant for different aspects of the technology namely technology name, description, advantages, pre-requisites for introduction, limitations, picture and any other information. The database can be updated externally and there is no need to make any modification in the front end. 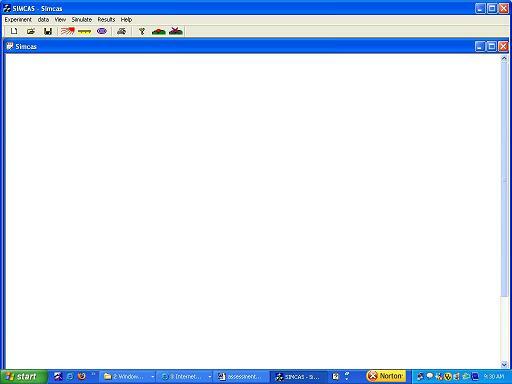 The front end was developed using Visual Basic 6.0. The front end provides facilities for navigating through entire database, restricting the operations on the database to selected categories of technologies, restricting the fields to be displayed, copying the data from the database to files and printing it, accessing the technology section of CTCRI website etc. This software is highly user friendly and should be installed into the system before using. This was officially released for sale by Dr. S.L.Mehta, National Director, NATP. 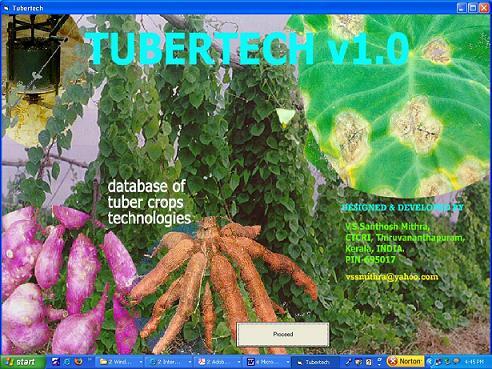 It is a software on the agro techniques of tuber crops. This is a user driven and user friendly software developed using Visual C++ 6.0 and HTML documents. The information on agro techniques are provided using HTML pages in text, graphics and audio forms. These pages are systematically arranged so that accessing it is easy. The System requirements are Pentium based computers with minimum RAM size of 64 MB. 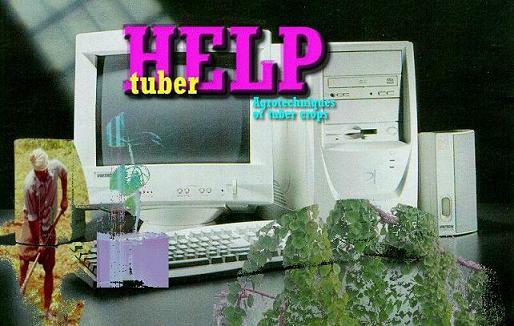 This was developed for Windows 98,2000,XP and NT. This was officially released for sale by Dr. S.L.Mehta, National Director, NATP. A growth model of cassava namely “SIMCAS” was developed to simulate the growth of Cassava. The software which was developed to implement this simulation model, use the weather data as the driving variables. The software was developed using Visual C++ 6.0. Its menu include six items Experiment, data, View, Simulate, Results and Help. To conduct an experiment the user should feed both weather data and plant coefficient data. This can be done by clicking the menu item data or through the respective toolbar item. Data can be fed either through data file or directly through the data editor of the software. 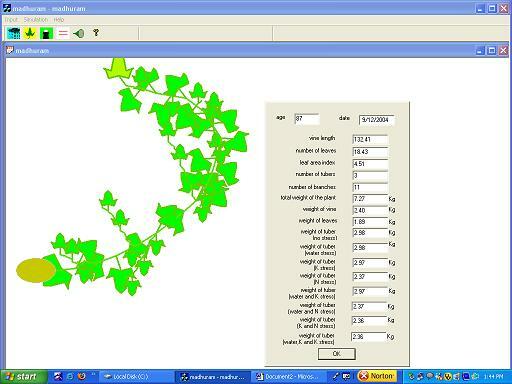 After the data is fed click the menu item simulate or the toolbar item to do the simulation. Through the simulation Dialog box the user can select the date of planting, the date or range of dates for which the simulation results are required. On clicking OK in this Dialog box, simulation process will start and the results will be stored in two files, which’s name and location will be displayed. The output will be displayed graphically and the user can stop the display at any time. A program for installing this software was also developed. It is a growth simulation model of sweet potato which was developed to simulate its growth. Vegetative developmental days (VDD) and reproductive developmental days (RDD) were calculated to predict crop phenology. Crop growth was divided into three phases, i.e., the first phase from planting to tuber initiation, the middle phase from tuber initiation to the beginning of tuber bulking and the final phase from the beginning of tuber bulking to harvest. Vine growth rates in terms of RDD were worked out for all the phases. Leaf production was assumed to be linearly related to RDD and the dry matter apportioned to leaves and the average leaf area was assumed to be inversely related to the number of leaves retained. A new algorithm for predicting branching events was developed. Solar radiation and photosynthesis were calculated using standard methods. Part of the photosynthates produced was used for providing energy for the maintenance and growth processes. The remaining was allocated to leaves, stem and tubers in proportion to their growth rate. The software performs simulation using the weather data, genetic coefficient data and fertilizer data which the user loads. The software was developed using Visual C++ 6.0. Data can be fed through data file. After the data is fed click the menu item simulate or the toolbar item to do the simulation. Through the simulation Dialog box the user can select the date of planting, the duration for which the simulation results are required. On clicking OK in this Dialog box, simulation process will start and the results will be stored in selectd files, which can be selected by the user. The output will be displayed graphically and the user can stop the display at any time. It is a process model for simulating growth of sweet potato growth has been proposed. This is developed by modifying the earlier sweet potato growth simulation model MADHURAM. Crop phenology was predicted as a function of growing degree days (GDD). Crop growth was divided into three phases i.e. first phase from planting to tuber initiation, middle phase from tuber initiation to the beginning of tuber bulking and the final phase from the beginning of tuber bulking to harvest. Vine growth rate and tuber growth rate in terms of GDD were worked out. Branching event also was predicted based on GDD. For computing solar radiation, photosynthesis and partitioning of dry matter, methods used in MADHURAM model was followed. The software performs simulation using the weather data, genetic coefficient data and fertilizer data which the user loads. The software was developed using Visual C++ 6.0. Data can be fed through data file. After the data is fed click the menu item simulate or the toolbar item to do the simulation. Through the simulation Dialog box the user can select the date of planting, the duration for which the simulation results are required. On clicking OK in this Dialog box, simulation process will start and the results will be stored in selectd files, which can be selected by the user. The output will be displayed graphically and the user can stop the display at any time. Electronic device called Electronic crop (E-Crop) is developed to simulate the crop growth real-time in the field. 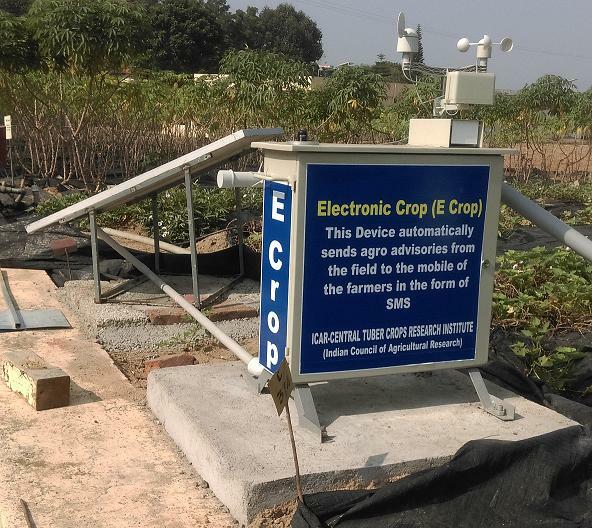 This device collects various weather parameters from the field at 15 minutes interval and sent to the website of ICAR-CTCRI.